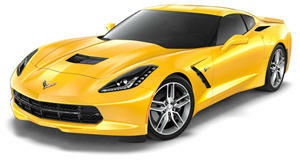 Endora-Cars Germany has recently released the Endora SC-1, which has a distinctive resemblance to the Chevrolet Corvette. The SC-1 gives a throwback retro vibe. The entry-level model has a 6.2-liter V8 engine that produces 430hp and 424lb-ft of torque. The second model has a 7.0-liter V8 with 505hp and 470 lb-ft of torque. Finally, there is the supercharged 6.2-liter V8 that has 638hp and 604 lb-ft of torque. Some of its main features are its LED-taillights and front spoiler, which allows better compacting pressure on the front axle. The Endora SC-1 also includes 19-inch alloy wheels in the front and 20-inch wheels in the back with the option of 20 and 21-inch wheels available. Pricing has yet to be announced.